According to TWITTER, the man who plays Mr. Bean is said to have died. Nowadays, with the vast influence of media in our lives and with the widespread use of social networking sites it is quite easy to spread news, information, quotes, and even gossips. In America, people woke up today learning from the top news that Mr. Bean was dead. 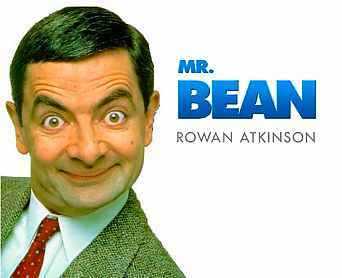 Rowan Atkinson known for his role as Mr. Bean in television and as Agent Johny English on movies was rumored dead. Fortunately, many have realized and learned that the news is false. However, how did it start? A message posted on Twitter become a trending topic “R.I.P. 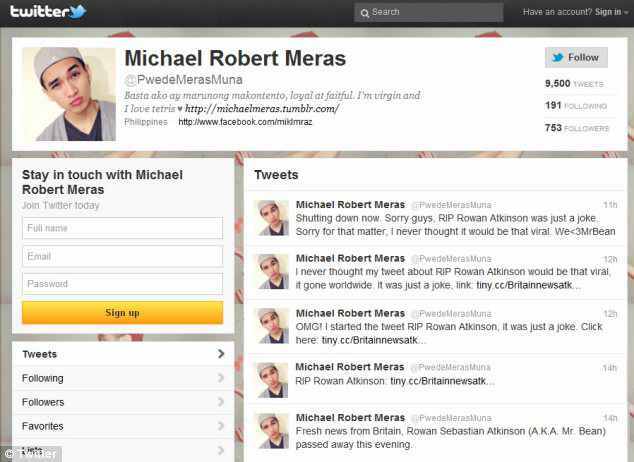 Rowan Atkinson.” by a Filipino twitter user named Michael Robert Meras which he regretted afterwards because he was bombarded with questions and harsh comments because of his bad sense of humor. 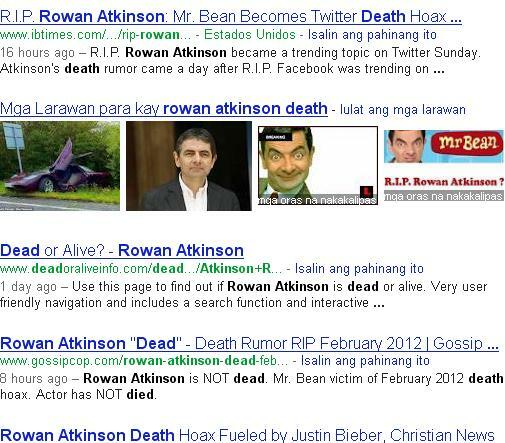 If you are going to search in Google the name Rowan Atkinson it would generate a lot of hits pertaining to his death so people do take these types of false news seriously!!! Now that’s one way of getting fame but I am pretty sure that is not good publicity and there are better ways to get attention. We are grown adults that should know our limits when it comes to sharing sensitive issues. Be responsible for your own actions. Sikat nanaman ang pinoy sa kalokohan!! !